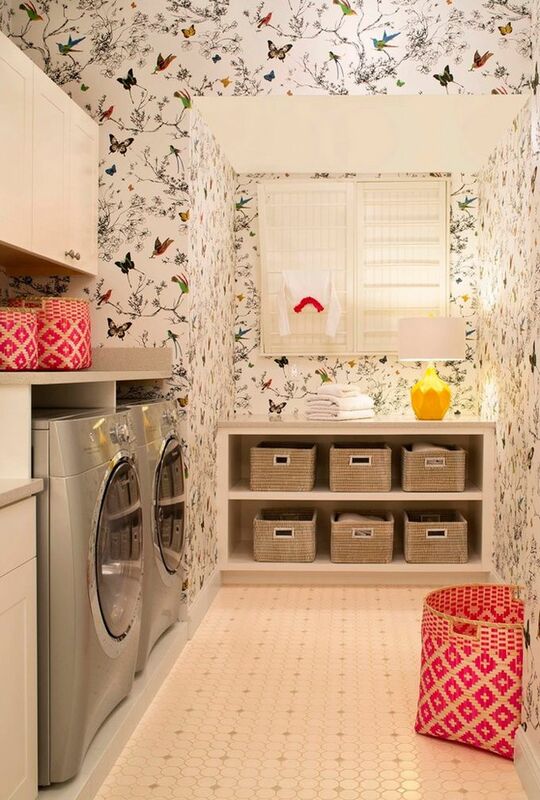 For an apartment, we have a pretty large laundry room. 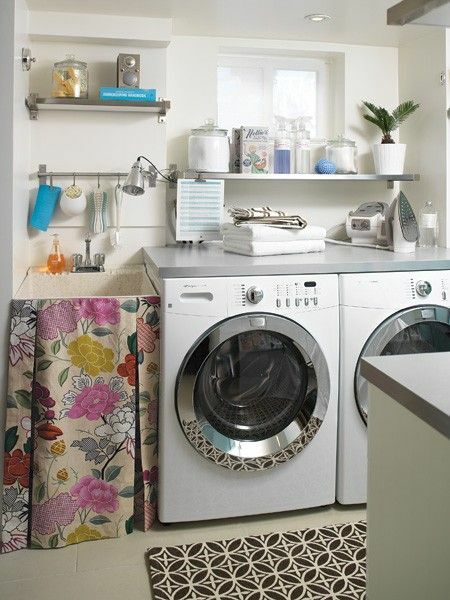 Usually it's just a little closet, but now ours is big enough that I feel like I want to make it pretty. Here are some cheerful laundry room images that I pulled for inspiration. Ideally, I'd wallpaper the shiz out of the room and call it a day, but we have textured walls so I'll have to get creative to get the look I want. 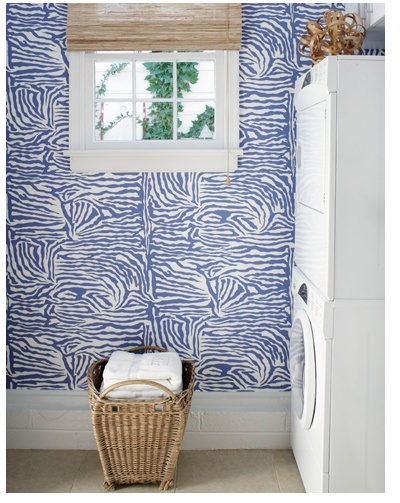 Ever since seeing this Beetlecat wallpaper by Katie Ridder done so well in Bailey McCarthy's bathrooms here and here, I've been trying to figure out some way to pull it off in an apartment situation. 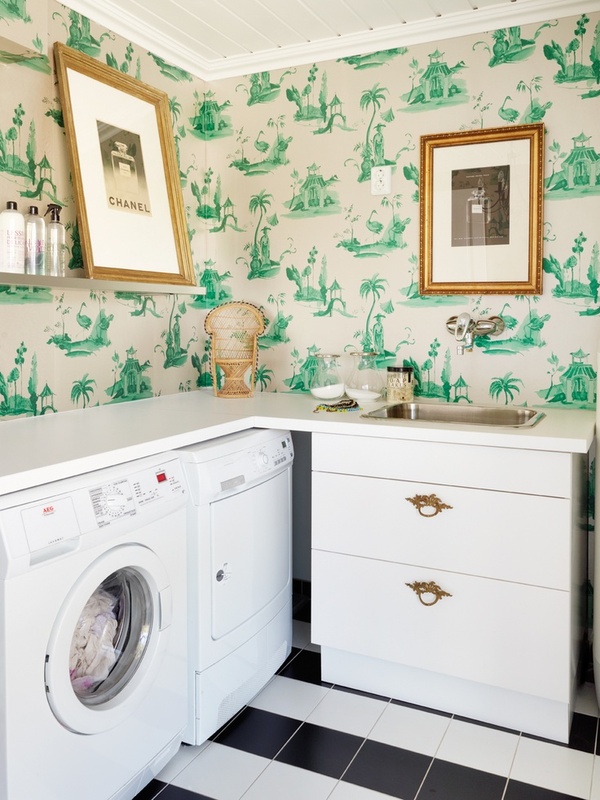 I've got some ideas spinning in my head on how I can use it in our laundry room, so just for fun I created a board of my dream laundry room for our apartment (the wallpaper looks wonky on the board because of the lighting in the online photo). I won't be able to put it all over the walls, but I'll have it in there in some way. I'll keep you posted on my progress!